William Allston developed a rice plantation along the banks of the Waccamaw River (1, p. 3). 1825  Joshua John Ward acquired all or part of the Brookgreen Plantation land (1, p. 2). After 1865  The plantation was sold to Dr. Louis C. Hassell sometime after the Civil War (1, p. 6).
?  Dr. Hassell's brother-in-law and wife become owners of Brookgreen (1, p. 6). 1930  Archer Milton Huntington purchased the plantation from Dr. Hassell's brother-in-law and wife (1, p. 6). Archer and his wife Anna Hyatt Huntington developed the property into gardens and sculpture museum. Learn more about their love story here. 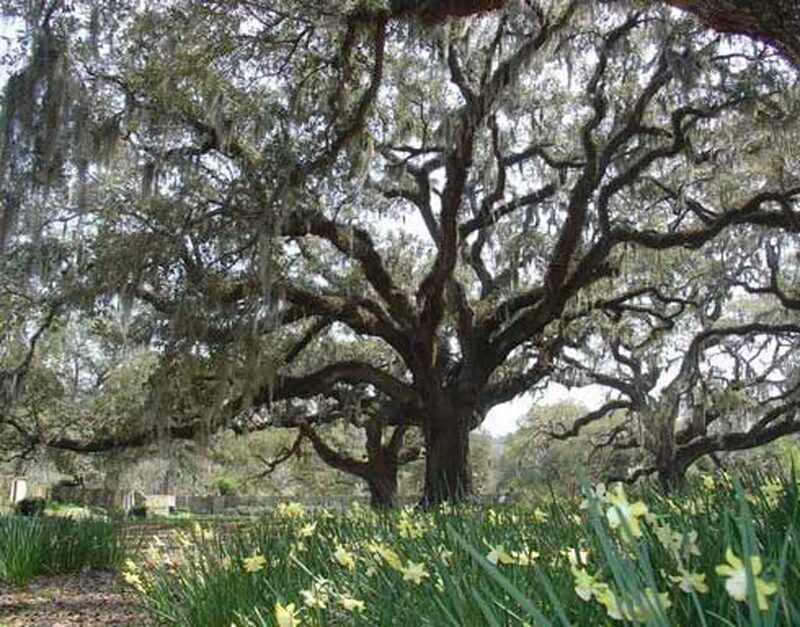 Brookgreen Gardens consists of 4,500 acres which once were part of four seperate plantations, Brookgreen Plantation, Laurel Hill Plantation, Oaks Plantation, and Springfield Plantation. None of the houses are still standing. The Alston family cemetery, once part of Oak Plantation, remains on the Brookgreen Gardens' property (1, p. 2).